Our IDCs include a 2-day IDC Prep Program for a ALL of our candidates, at no extra cost. To improve your success rate and have ALL candidates at the SAME level when starting our IDC course, we are convinced this will benefit ALL our students. Maybe it has been some time since your PADI DiveMaster training or you have not been active in assisting with classes. Perhaps you are just not entirely confident about your level of expertise. Or maybe you would like to know how to explain dive theory in a simple way to your own future students. This 2-day program will alleviate any concerns and will thoroughly prepare you to enter the PADI IDC training with confidence in academics and confined water skill demonstrations. Prior to the IDC you will have access to our online Student Portal with study aids to help you revise and refresh your dive theory knowledge and demonstration skills. During the IDC Prep program we will help you fix any areas that might be struggling with and build on your own preparations. Once you sign up to our IDC you will also have the option to purchase an all-inclusive digital suite of PADI's student products, available exclusively to our IDC candidates. Having these products will benefit you both during your course and afterwards once you start your career as a PADI Instructor. 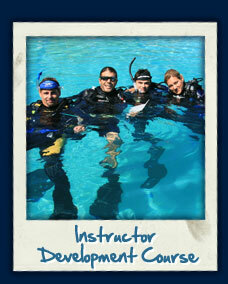 The PADI IDC Prep course is a 2 day training session just before our official PADI IDC Course. You will review important aspects of dive theory. We will brush up the five topics you have studied in your PADI Divemaster course or through independent learning: Physics, Physiology, RDP & Decompression Theory, Equipment, and Skills & Environment. 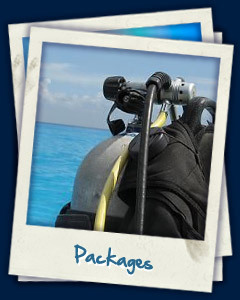 Be a certified PADI Divemaster or equivalent.